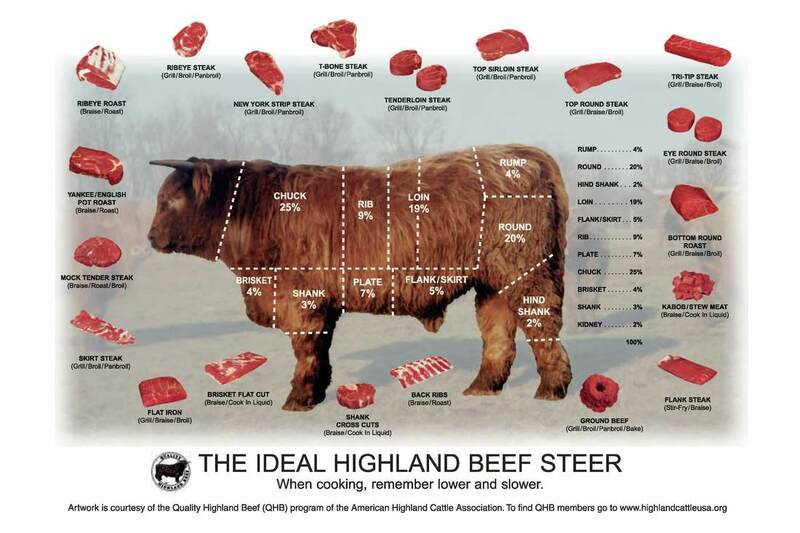 Click HERE for printer friendly version of beef cuts. Members submit tips to share. Click HERE to learn from other members. NCHCA gives tips for handling Scottish Highland Cattle. Click HERE for more information.